Perhaps the most oft-repeated inaccurate historical assumption about American history to have been foisted upon the public by so great a class of educators ranging from ignorant to prejudiced is the idea that the “‘Civil War’ was about slavery.” Packed into this conveniently vague statement are all the stereotypical assumptions concerning racism and slavery as “moral questions” painted upon a political canvas. To the victor goes the spoils, including historical interpretation—or in this case—down-right falsification. But a noble reason must be given to justify the taking of 750,000 lives. The war itself was over one question—Does an American state have the right to leave the union (as the thirteen original colonies left Great Britain). This is why Southerners commonly say the war was over “State’s Rights.” Secession itself was over a number of conflicts that separated two very different worldviews—that of the orthodox Christian and traditionally conservative South, and the increasingly humanistic and progressively utopian North. Spiritually, secession was over Biblical Authority. Christian denominations split over Northern insistence that a moral law outside of Scripture declared the relationship between master and slave to be sinful in and of itself. Southern Christians supported scriptural restrictions on the institution, but it was a bridge too far for them to accept the spiritual authority of a section of the country hypocritically benefitting from the profits of the transatlantic slave trade, while simultaneously beginning the adoption of Darwinism and higher criticism. Southerners could look for political ways to end the slave trade, something the Confederate constitution directly restricted, but they could not call sin what God had not called sin. Socially, secession was over Northern aggression. 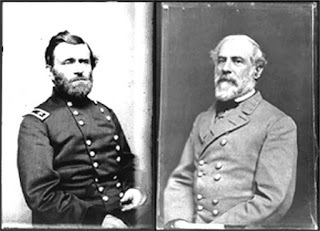 In the years leading up to the war, Southerners became increasingly worried that radical elements in the North were hell-bent on vilifying and subsequently destroying the South. The Postal Crisis, the effect of anti-southern publications, the tolerance for and even championing of “slave insurrections” all served to fan the flames of sectional division. Southerners found themselves portrayed as the source of the national sins of backwardness, ignorance, and slavery. Why could the North not focus on its own flaws? The conditions for children and immigrants in Northern factories, the kind of prejudice that existed against free blacks, and the dehumanization that came with commercialism were out of step with the agrarian South. Yet the South did not seek to re-make New England in its image. The favor however was not returned and the South did not want to be New England. Politically, secession was over the implications of Northern dominance in the general government. The South had long been in a political struggle with New Englanders dating back to the 3/5 compromise. The South favored Agrarianism, free trade, and Constitutional originalism. The North championed industrialism, social programs, and a generous reading of the constitution. Perhaps both sections could have lived in peace if it were not for one thing—The North wanted the South to pay for its “American System,” even if it meant subverting the Constitution. The North had threatened to secede many times before the war based on the fear that the West would alliance with the South and dominate the general government. Now it was the South’s turn to fear. In 1828 South Carolina narrowly dodged an invasion of federal troops over the states nullification of the “Tariff of Abominations,” which as one contemporary said, gave the North in effect 40 out of every 100 bales of Southern cotton. Between this event and the war, the North and South were in a death struggle to see if New England commercial interests would be allowed to dominate the country. It is at this point that the question of slavery enters the discussion—not as a moral question, but as an economic one. The question was not over the “expansion of slavery.” Outlawing slaves from entering the territories did nothing to effect the total number of slaves. What it did do however was keep influential Southerners from moving into the territory, thus ensuring that when it became a state, it would have been under Northern influence. What it also did was keep blacks from competing with white labor and becoming an undesirable presence in the community. The North cared about subjecting the South, not the plight of blacks. With the dreaded “Morrill Tariff” on the horizon and the election of a president who was more than happy to enforce it while restricting Southern influence in the West—The South knew it was doomed. The war and subsequent Northern victory only confirmed that its suspicions were correct. The “Civil War” was NOT about slavery. For more info on slavery as a political question, check out Brion Mcclanahan’s podcast this week!